Perthro's Pagan Supplies + More! Announcement 4/13/18 - SALE IS ON! If you follow me on IG + FB, you'd be the first to know about sales! 4/10 - 4/18 Get 20% off ALL Jewellery + Accessories, including the jewellery that benefits charity! That should give enough time for it to arrive by May Day. I'll contact you if you are #1000. Select your item, I'll make you a custom listing within 48 hours, and check out as normal. Offer good for 3 months after being contacted. Hope to see your review soon! 4/13/18 - SALE IS ON! If you follow me on IG + FB, you'd be the first to know about sales! 4/10 - 4/18 Get 20% off ALL Jewellery + Accessories, including the jewellery that benefits charity! That should give enough time for it to arrive by May Day. Fast delivery- interesting incense- Thanks! Exactly what I was looking for! Seller was responsive and great to work with. Thank you! Miss Phiri passed away last night due to an intoxicated, reckless driver. A portion of proceeds will be going to her last needs, as her owner has cancer and cannot afford the cremation. Thank you for supporting us now + always! You make a difference! My new coworker is excited about making sure this new batch of tiny bells work! Chrome bells run .75-1" depending on style and make lovely altar bells or bell chimes, strings of charmed beads and bells that blow in the wind. I'm pulling out more gorgeous beads to put directly to Clearance! I have decades worth of beads of all different types, so I'm lowering prices. You can also use coupon CLEARANCE15 for an additional 15% off! Before changing out the altar... and really, no altar is complete without a cat. Up late every night, doing tarot readings near midnight-2am. I seem to work best in the in-between hours. EcoFest 2017 was a success! I was so excited- and I didn't even bring everything I'd meant to. Come see me next year! PerthroSupplies is a pagan supply shop run by tarot readers and a Hermetic priest in the Tampa Bay area. I grew up in a very small, drive-through town where everyone was in everyone's business (for better or worse). And I didn't exactly fit into the Evangelical Christian culture... which led to some issues. But even after moving away, I never forgot how hard it could be to practice a 'minority' religion, so I opened my own shop! We ship in plain, unmarked boxes with no religious insignia or branding for minimal 'intrusion', and save costs for you by using clean junk mail, coupons, and newspaper for wrapping. No food boxes are ever used for shipping! I aim to provide higher-quality but inexpensive supplies, especially in randomised lots for the beginner or for someone who just wants to shake things up and get some new ideas. We mainly cater to Eurocentric traditions, but occasionally I get in some special fair-trade things from my father in Bolivia. You'll find that I don't source certain items because of issues relating to special cultural use or endangerment, as is the case with sandalwood and certain other items, which are often harvested illegally. Once a local person asked for actual tiger parts! O.o I would love to bring in palo santo, but I need good contacts to ensure that they come from sustainable foresting practices instead of logging in the Amazon. I hope you'll share my ambition to protect our natural habitats! Eclectic sort with heavy Judaic and Hermetic influences. I love ghost stories, silks, and old mirrors. 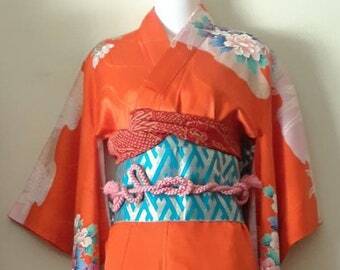 Jewellery-maker, kimono collector. Cat-owned. Intuitive and empathetic, RM is a Hermetic priest since 1997. RM reads tarot from a Qabalic-influenced deck, which uses a complex set of influences including gematria, astrology, and other symbols to divine meanings for a high accuracy rate!